BULAWAYO, Zimbabwe, Aug 23 2018 (IPS) - President Azali Assoumani of the Comoros Islands is tightening his grip on power. First, he insisted on holding a referendum allowing him to extend his term of office and abolish the country’s constitutional court. Which he won. And now, the lawyer of former President Ahmed Abdallah Sambi has said that his client has been charged Tuesday with corruption and the misappropriation of public funds in a passport fraud. This July, Assoumani held a referendum in the Indian Ocean archipelago, giving himself a mandate that widely extends his powers. The constitutional draft allows for the President of the Union of the Comoros to now ratify international treaties and agreements without consulting parliament. The text also provides for the abolition of the three vice-presidencies, as well as the Constitutional Court. The Comoros was plunged into crisis in April when Assoumani suspended the Constitutional Court, the highest court in the country, sparking opposition protests. Under the current constitution, power rotates every five years between the archipelago’s three main islands. But this has also been done away with through the referendum. Sambi, who is a leading critic of Assoumani’s rule and president of the vocal opposition, the Juwa Party, was placed under house arrest three months ago. Since then has not been allowed any visitors, though his lawyer Mahamoud Ahamada saw him on the afternoon of Tuesday, Aug. 21. The Juwa party has rejected the mandate extending Assoumani’s powers, and has called for immediate international intervention to restore democracy. Comoros, situated in the Indian Ocean between Mozambique and Madagascar, is one of the world’s poorest countries. It has been repeatedly shaken by separatist movements and instability prior to the passing of a new constitution in 2001, which provides for the rotation of power between the islands. Inter Press Service (IPS): The referendum has given Assoumani carte blanche to grab power, as it were, with an extension to his rule. Do you accept this outcome? Abubakar Aboud (AA): We do not approve at all the electoral process that Colonel Azali [Assoumani] has started. This process is illegal to the extent that it has violated the fundamental texts of our country. Colonel Azali [Assoumani] put an end to the Constitutional Court without consulting the people. From that moment on, we cannot accept the results of this illegal process. IPS: What about the charges against Sambi? AA: The arrest as well as all the charges are purely political. In parallel, the lawyers will ask for a provisional release of president Sambi, who has now been a political prisoner of Colonel Azali [Assoumani] for over three months. 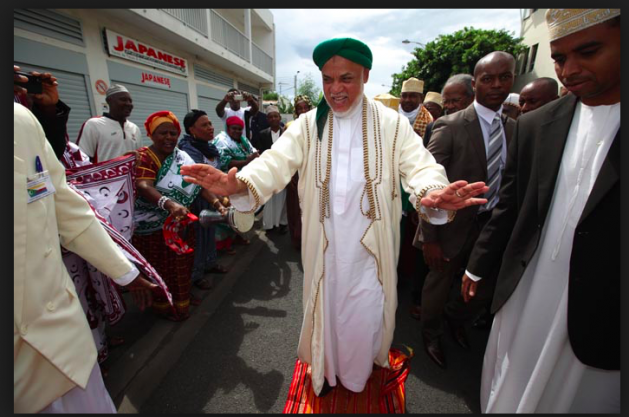 IPS: What does this mean for the fragile democracy in Comoros? AA: I fear the worst for the fragile peace of our country. It is very disturbing to see a colonel put our country in danger for the sole purpose of holding on to power. Our country has not tasted the benefits of democracy for long, and now Colonel Azali [Assoumani] is demolishing everything that we have built for his own interests. IPS: What action will you take, or can you take, now if you are to save the country from the autocratic rule? AA: We do not want violence in the country. And yet, Colonel Azali [Assoumani] is doing everything to crush the discordant voices we are part of as members of the opposition. To avoid confrontations that could cause bloodshed, we regularly call on the international community for help. These calls are becoming more and more urgent as almost all the members of the opposition are either arrested or have suspended sentences. IPS: What is the feeling on the other islands’ about this result? AA: Everyone feels betrayed by the colonel and his men. The Comoran people are very peaceful. But Azali [Assoumani] is driving the people to revolt. I feel a lot of anger and frustration among the population. I don’t know how long the current patience will last, but we are dangerously close to reaching [the] limit. IPS: Where do you see the future of Comoros now? AA: I hope to see my country return to the democracy that we fought so hard to achieve. I hope for a brighter future, even though we are crossing the darkest path of our history… I see this future without Colonel Azali [Assoumani], because he will have to answer for the violations of human rights and the acts of high treason. IPS: What of ex-president Sambi? Is he safe and how does he feel about this turn of events? AA: His lawyer, Mahamoud Ahamada, saw him Tuesday [Aug. 21] and told us he seems a little bit weak but he is okay. I did not have the ex-president’s opinion on this electoral masquerade. But knowing him, I’m sure he shares our opinion on it. IPS: What are your next steps to challenge this result? AA: We are waiting for the international community to react. If they don’t do it fast, we’ll be obliged to do it ourselves by any means necessary. Formal letters have been signed by president Sambi and his lawyers have sent them by mail today [Aug. 22] to the United Nations and the African Union.